I have been in cathedrals and international concert halls. I have visited mega-churches and heard Christmas cantatas which mirror the quality of Broadway shows. I have been in charismatic worship services led by famous musicians complete with smoke machines and flashing lights to set the mood. But until today, I don’t think I have ever experienced worship which was fit for heaven. My location? No, not an Australian mega-church, nor Redding, California. Not a massive Dallas church, nor a Cathedral in Vienna, Austria. 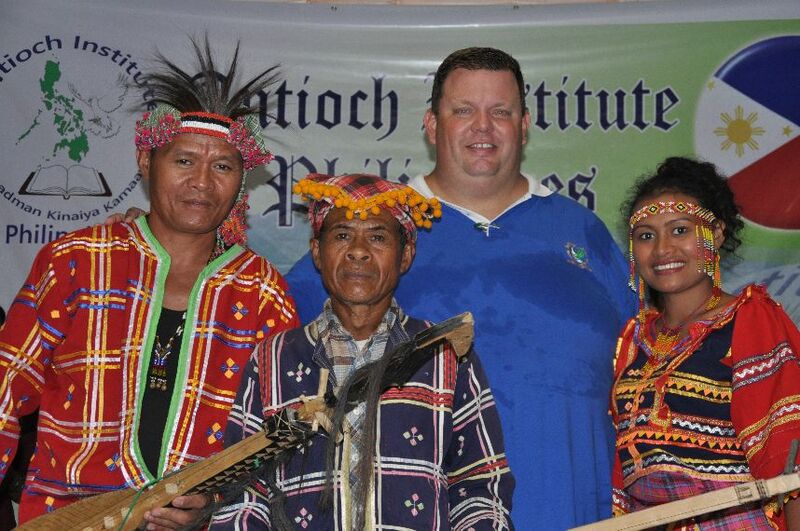 The worship I was a part of was in Sinuda, Bukidnon, Mindanao, Republic of the Philippines. Even Google probably can’t find this place! One of the courses I have taught over the years is about worship. Like everything I try to teach, I want to make it as practical as possible. We invited three different worship leaders to come and help us since I am not very musical, but that doesn’t hold me back from worshipping the Lord. Over the last forty to fifty years these mountains have seen a few missionaries, mostly from Europe and America. The compound which we were using was built by American missionaries, and just down the road, I was staying in another Bible school with beautiful homes built by missionaries too. However, the foreign missionaries are gone now. They have been gone for several years and they are probably not coming back. When we started our first worship time it was a typical tribal worship service which I have seen all over the world in tribes that were won to Christ by foreign missionaries. It was 1950’s American hymns in tongues! You guess it. . . very boring too! You see, back fifty years ago when the missionaries first evangelized the mountains they understood that the “culture” of native people was all bad, therefore, they needed to install “Christian culture” which was simply their own American and European culture. Tribal instruments were out, as those were used in “devil worship”. Leadership structures around chief’s called “datu’s” were out, because a good American Christian would vote on everything! The result is a very Western looking church including architecture, dress, structure of the services and even their theology has been taught to them by foreigners. This new culture, however, is not from the Bible, but from American and European culture. So these “indigenous” people look more like out of style American’s than anything special as God intended. Today, however, many more missionaries understand that God is in the business of redeeming cultures and not promoting Western culture as “Christian culture”. This worship seminar was about redeeming tribal worship for the glory of God. I showed them Revelations 7:9 which says, “After this I looked and there before me was a great multitude that no one could count, from every nation, tribe, people and language, standing before the throne and in front of the Lamb.” I told them that God was the one who created all the peoples, nations and languages of the earth and therefore, he created us different. Therefore, as we will all be worshipping God around his throne I am pretty sure that God is not expecting us to sing “Hillsongs” or worship in English just because they are from the dominate cultures in the world today. 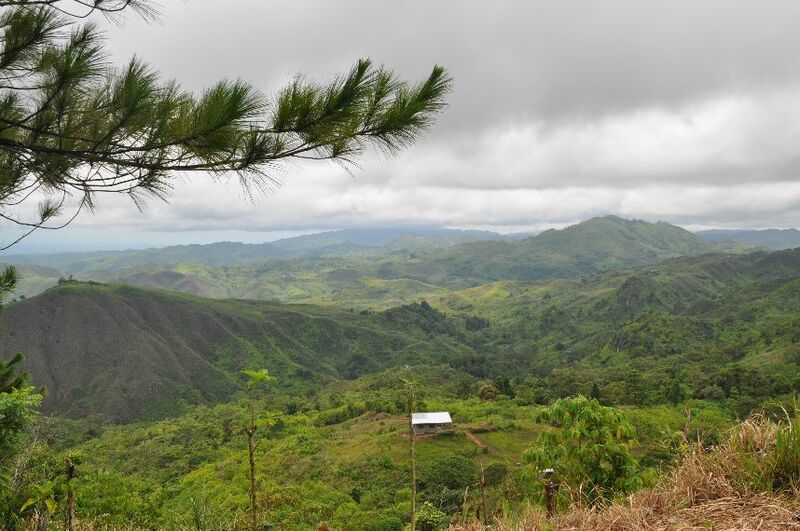 So, being that I was the only American (even though I have spent over 30 of my 40 years in Asia) that was up in the mountains of Bukidnon that day I decided I would make a declaration on behalf of us American missionaries. So I told them, “As of today, on behalf of American missionaries, I want to tell you that you don’t need to copy us anymore. You don’t need to use our instruments. You don’t need to sing songs translated from our English church songs. You don’t need to worship the same way we do sitting in rows. 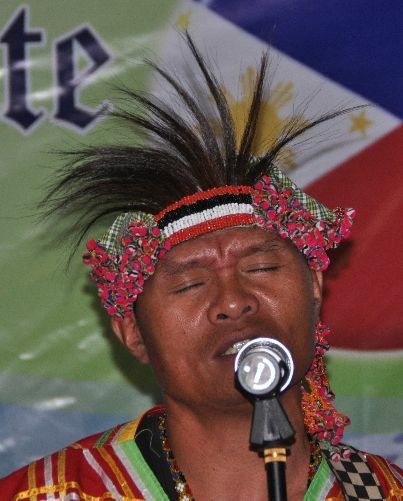 You can worship the Lord however you feel it is best for a tribal (Matigsalog) believer to worship God. The Holy Spirit which you have from God will lead you in this.” There was both shock and joy as I made my announcement. I told the worship team they were not allowed to use any English music, but they were free to use anything else and worship however they felt led by the Holy Spirit. The worship leaders were from three different tribes. I taught them about Biblical expressions of worshiping God such as: speaking (Psalm 145:21), singing (Psalm 147:1), shouting (Psalm 66:1), clapping hands (Psalm 47:1), using instruments (Psalm 150:3-5), dancing (Psalm 149:3), kneeling (Psalms 95:3) and lifting up hands (Psalm 134:2) just to name a few ways. I asked them to bring any tribal instrument they could find and they came up with a homemade two string solid wood stringed instrument, drums made from sections of bamboo, and a mouth harp made from bamboo. We also used anything else we could find, including my coffee cup as an instrument too. Then they started to sing and dance. It was more rhythmic at first and then built as they sang new songs, which they created spontaneously in the Matigsalog language. The people danced around as one by one various elders would come to the microphone and chant (their type of singing) their praises to the Lord. I was in awe. It was breathtaking. It was amazing. It was unique and so creative. It flowed so naturally even through it was created on the spot. It was true worship and praise of the Lord. For the next three days we would teach some and worship a lot. The worship grew stronger and stronger until the climax was several hours of anointed worship. It is something I will never forget. If you want to hear it I don’t think they have any plans to make an album or brand their style of music. You’ll have to wait till heaven, when we are all around the throne. The Aussies can sing their “Hillsongs” and the Californians their “Jesus Culture” and the Europeans there Bach, but those Matigsalog believers are going to go all out for Jesus. When you see the worship that looks so unique and creative; so colorful and lively with people dancing around the throne in a unique tribal step, just ask them if they are Matigsalog. You will be welcome to join right in. Thanks for sharing this experience. It is a beautiful picture of true worship, and I wish I was there to hear it! It must have blessed the Father’s heart. I shared this story with the other worship leaders at my church last night at a meeting we had together. We have a very multicultural church, and it was inspiring to think about the freedom of worship in their own cultural way was so liberating for the worshipers you visited in the Philippines. It made us think how we can apply this idea in our congregation.